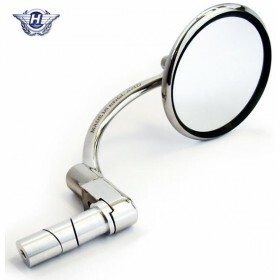 The mirror is 100% Stainless steel to prevent corrosion over time, the curved arm attaches to a knuckle and is tensioned with a spring to allow you to crank the mirror around so that it can be easily repositioned for parking your motorcycle in tight spaces. 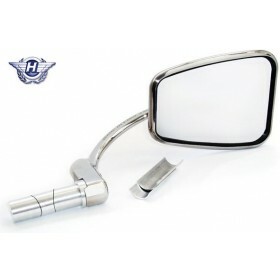 The new compact mirror head is 75mm in Diameter and has a tensioned ball that swivels to a 90 degree angle. 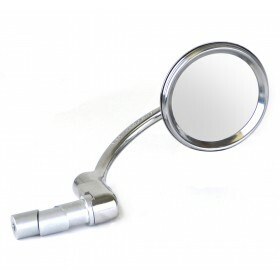 The new expanding fitting is suitable for handlebars ranging from 7/8" to 1" in diameter with an inside dimension of between 17.5mm and 21mm. 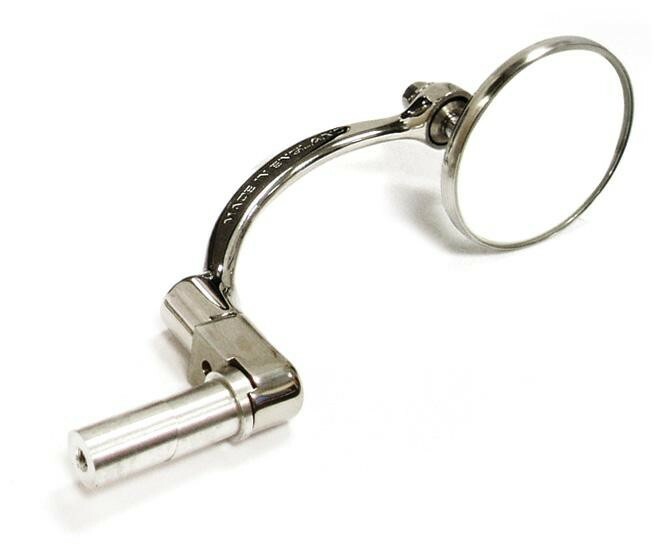 The 3 piece angled tensioner sleeves create a far more secure and re-usable method of fitting.